After studying in Rome for a few months I have been looking for classic Italian dishes that I can put my spin on. Since Danny and I both love spicy food I decided to add a Fresno chili to my sauce to add a kick to my sauce. 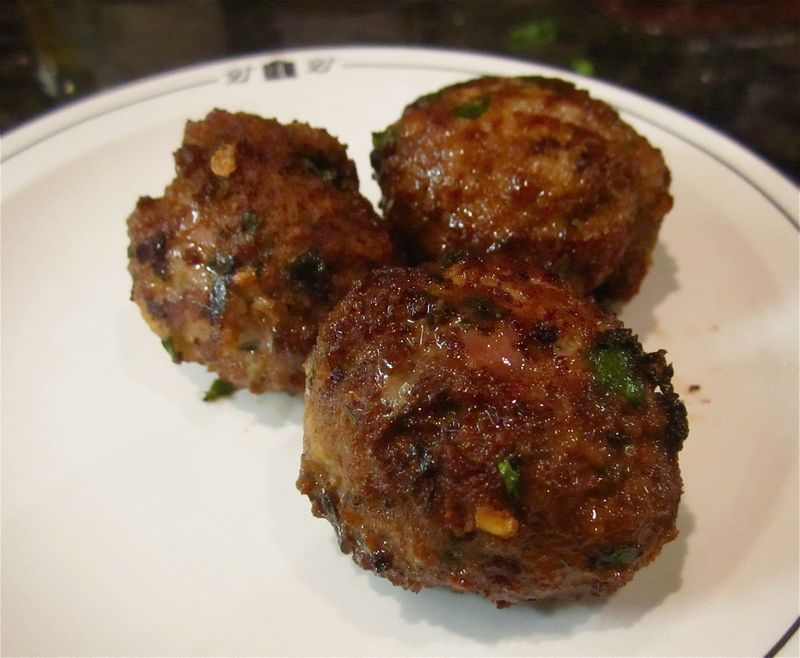 This is my take on meatballs in a spicy white wine tomato sauce. Mangiare! Rip apart the two slices of bread and add the buttermilk in while mashing with a fork. Let this sit for ten minutes. In the meantime, wash and chop the parsley. I like to use Pecorino cheese because it has a saltier flavor than Parmesean. I'm also partial to anything from Rome! Grate the Pecorino cheese. 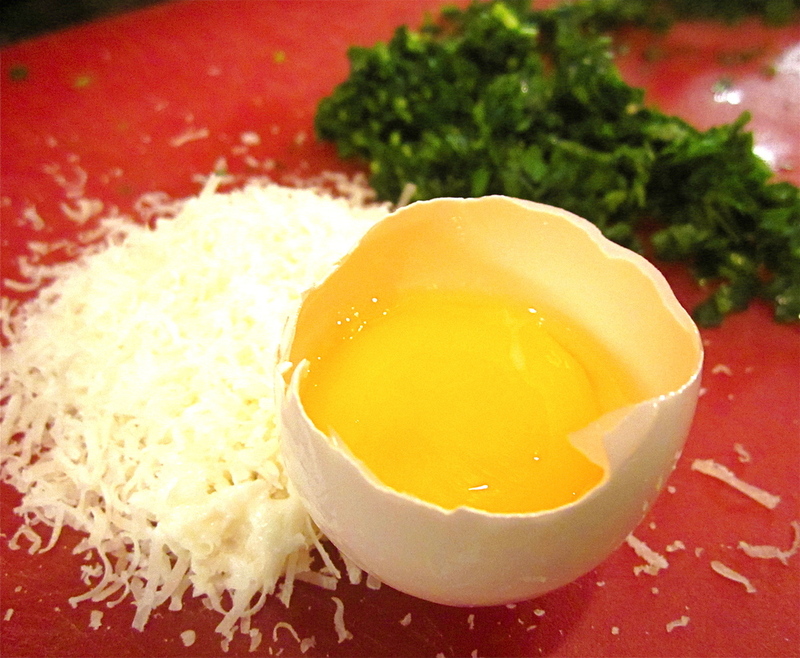 Crack one egg and save the yolk. 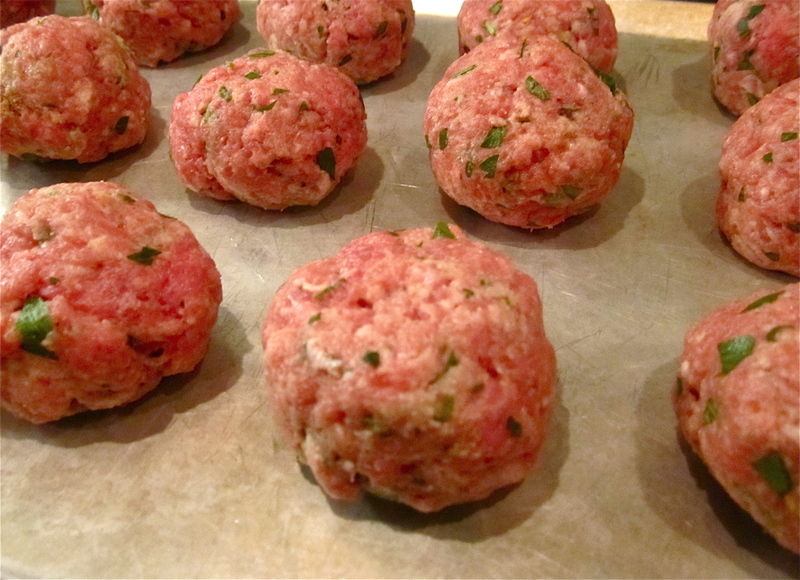 Mix together the parsley, Pecorino, egg yolk, ground pork, ground beef in with the bread and buttermilk. Season this with salt and pepper. Once mixed together, take small amounts and roll into 1 1/2 inch balls. Let these rest for five minutes. Fill a medium cast iron skillet pan with vegetable oil half way up. 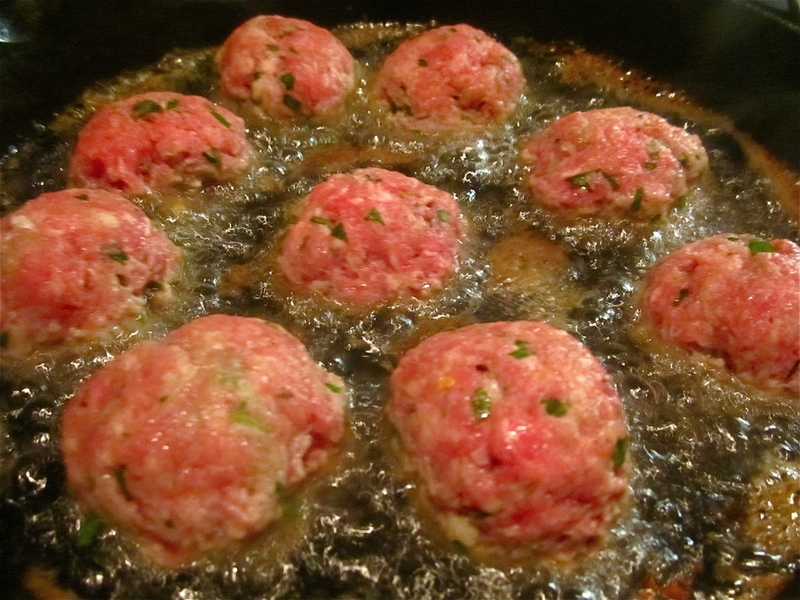 Heat up the oil and place meatballs in. Cook them for 4 minutes a side or until golden brown. Remove from hot oil and place on a plate with paper towel to absorb excess oil. Try one to make sure they are cooked perfectly. Grate the onion and add to a large pot along with olive oil, oregano, and red pepper flakes. 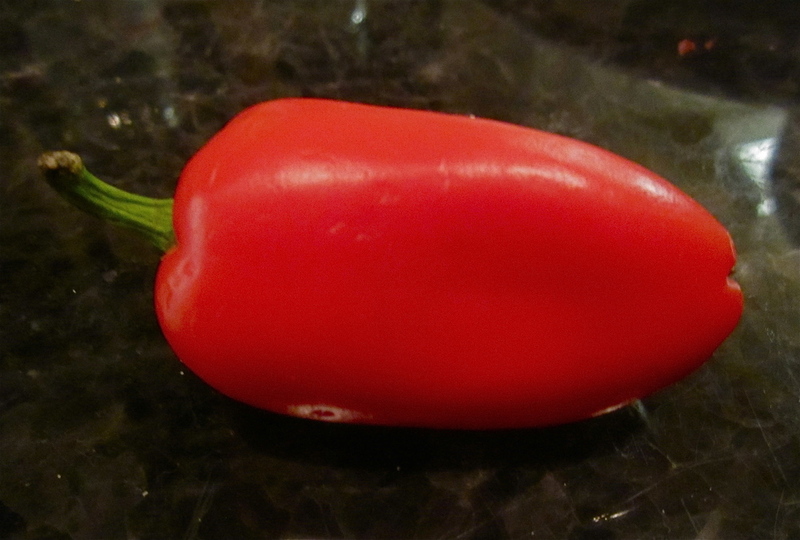 Chop a Fresno chili into small pieces. You can choose how many seeds you want to put into sauce. I added all the chili seeds which was the perfect amount of spice. Add tomatoes, wine, water,and the chili into the pot with onion mix. The wine might seem like a lot when first putting in but this simmers off into a rich flavor. 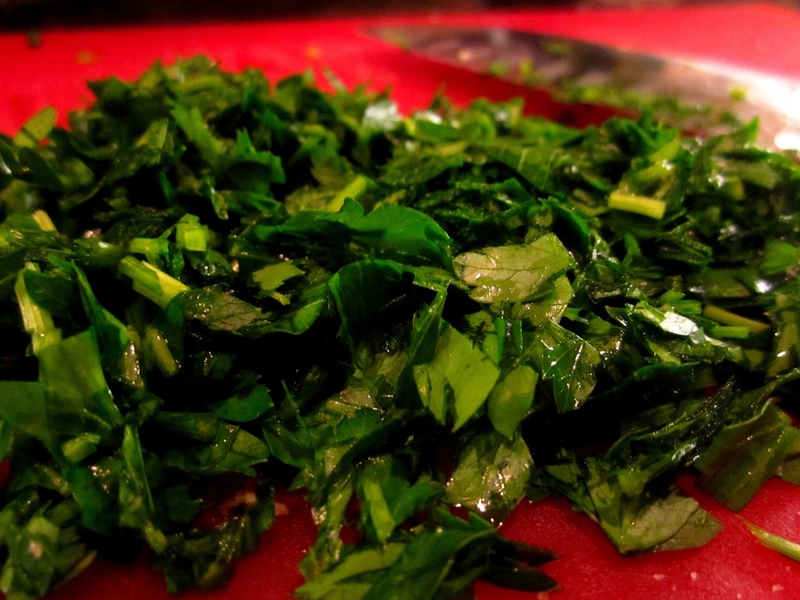 Bring this to a boil and add a handful of chopped parsley. After a half hour add meatballs to sauce and cover. Simmer this for four hours. Don't forget to continuously stir the sauce. 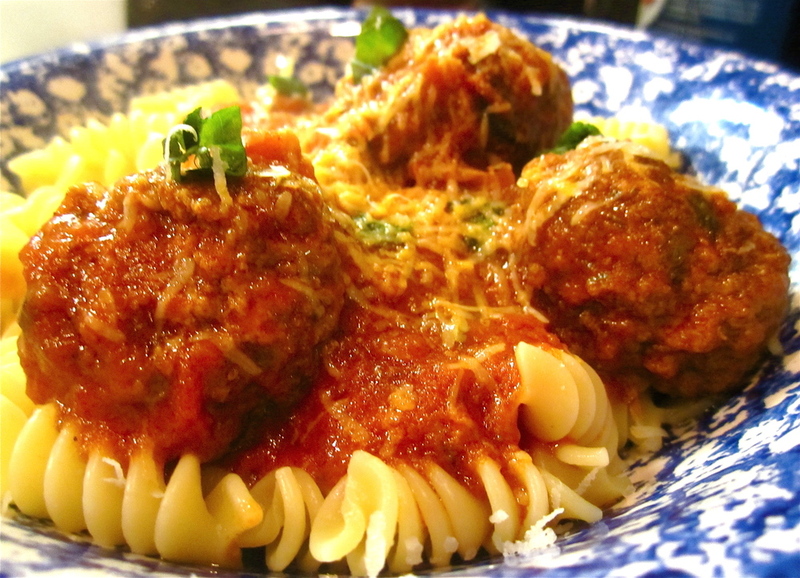 When ready to serve cook the pasta al dente and put meatballs and sauce over top. Grate some fresh Pecorino cheese and tear some basil for extra flavor.